The days of open internet rules may be over as President Donald Trump plans to pick Ajit Pai to lead the Federal Communications Commission. Replacing outgoing Chairman Tom Wheeler, the decision will see “sitting GOP commissioner to the top spot overseeing the nation’s communications industry,” Politico has reported citing two unnamed industry sources that are familiar with the decision. The announcement is expected to come this afternoon. First appointed by President Obama, Pai is a telecom law expert who has served as the FCC Republican Commissioner for over three years. 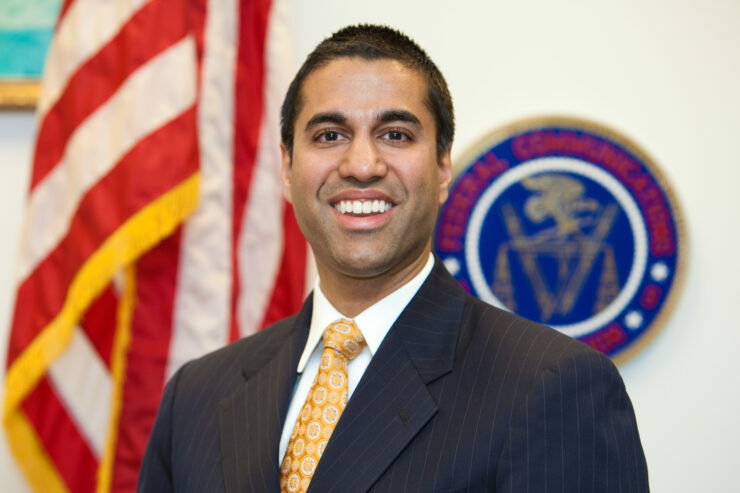 The publication adds that Pai could take the new role immediately since he doesn’t require approval by the Senate because he was already confirmed to serve the FCC. While his FCC term expired last year, the agency rules allow him to continue serving through 2017. If he is indeed named as the new Chairman, Pai will have to be reconfirmed by Senate later this year. Under President Obama, FCC took major steps to prevent Internet Service Providers (ISPs) from favoring certain kind of content over others, or slowing consumer access to web content. Steps were also taken to preserve the principles of an open internet. However, as the new cabinet is being picked, it is unclear whether President Trump will pursue the same policies. Outgoing Chairman Wheeler was a staunch defender of net neutrality. His net neutrality rules prohibit broadband providers from favoring their own services at the expense of competitors. Thanks to these rules, broadband providers cannot sell internet “fast lanes” to large internet companies at the expense of small companies and consumers. “The Trump administration campaigned that they are the voice of the forgotten,” Wheeler said in an interview to ArsTechnica. Republicans, including Pai, have historically opposed measures taken by the previous Democratic majority. During Wheeler’s time, Pai was one of the most vocal opponents of the FCC’s open internet rules that were passed in 2015. As mentioned above, these rules play a critical role in mandating ISPs to treat all web traffic equally. Facebook, Google, Tumblr, Netflix, and others had supported Wheeler’s work on network neutrality protections. At the time, over four million people had commented in favor of the regulations, which is said to be the highest amount of public participation in the history of the agency. However, along with some Republicans, major broadband companies also remain in opposition of net neutrality. Pai had said at the time that these rules would lead to “higher broadband prices, slower broadband speeds, less broadband deployment, less innovation, and fewer options for consumers”. Critics believe that Pai will probably start the process of undoing the net neutrality order. In a December speech [PDF], he had promised to “take a weed whacker” to current FCC regulations to “remove those rules that are holding back investment, innovation, and job creation”.